A prestigious new development overlooking the Midlands Golf Course 14th Fairway. Spectacular living with golf fairway views, nearby to some of Ballarat’s best sporting facilities like the Ballarat Basketball/Volleyball Stadium, Ballarat Regional Tennis Centre and the Ballarat Table Tennis Centre, close proximity to the Western Highway for easy access to Melbourne Freeway and only 4.8kms from Ballarat CBD. Approximately 106 home sites with an average lot size of 650m2 and public open spaces. A community built for you! 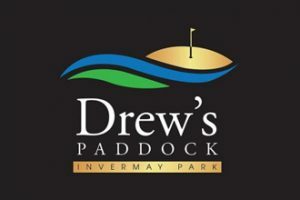 With only a limited number of homesites available, Drew’s Paddock presents an opportunity like no other. Golfing legend Terry Price and Midlands Golf Club president David Both with junior golfers Liam Howlett, 11, and Charlie Bissinella, 14 two of 20 young competitors who won 10-round passes at the club’s Australia Day pro-am, courtesy Villawood Properties and Drew’s Paddock. The Midlands pro-am, spearheaded by the Victorian Senior Masters, a PGA Legends Tour event, saw stars including Terry Price, Peter Senior, Peter O’Malley, Peter Fowler, Mike Harwood and David McKenzie displaying their considerable skills in the auld game and mixing with club members on and off course.